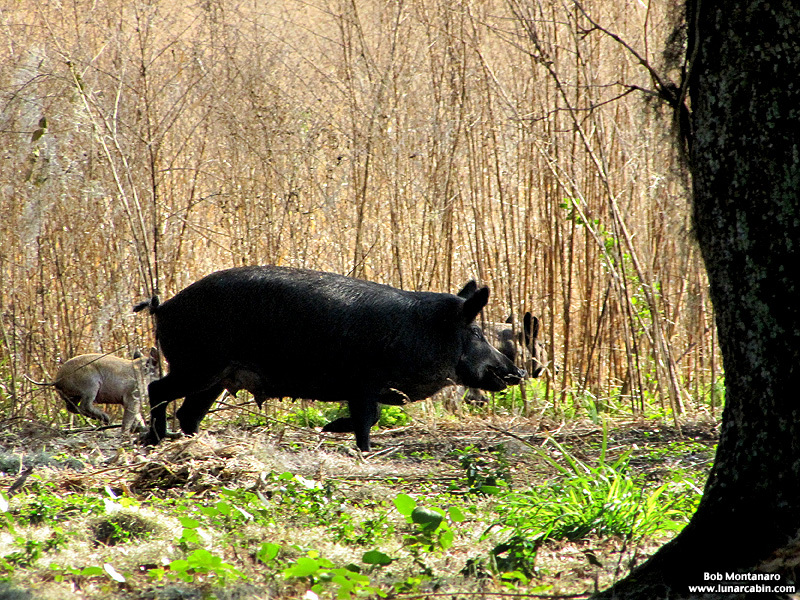 Crossing paths with a wild hog mother accompanied by her many children along the trail at the Circle B Bar Reserve. These animals are not native to Florida or the Americas and are believed to be descended from the swine brought by early Spanish Explorers and subsequent settlers that escaped into the wild making for a modern day nuisance as far as the native habitats are concerned. An environment these animals love to dig up in their foraging for food.